Because there’s a difference between “research” and “search”. Many of our resources are provided by POWER Library, which is a service of Access PA and the Office of Commonwealth Libraries. Do you work for a non-profit seeking grant opportunities? Are you a student seeking extra support for school? Perhaps you are an individual seeking funds to start your own business. The Foundation Center features databases for nonprofits and individuals seeking grants. Databases by the Foundation Center contain profiles for 108,000 grant makers with contact and application information. The Foundation Center is located in Martin Library and is accessible to all York County Libraries members. Email Angela Orwig at [email protected] for more details or to schedule an orientation. If you are a student and need to take a proctored exam, many YCL libraries are available to help you. Professional staff proctor these sessions. Contact your local library for availability, guidelines, and our current fee schedule. We need 48 hours advance notice, please. Do you want to learn a variety of foreign languages? Are you going on vacation and need a refresher? Taking classes in school, or simply have the desire to learn another language? YCL has the support you need with Rocket Languages. Interactive lessons complete with videos, audio, voice playback, and quizzes will help you understand the basics of each language offered. The gateway for all of the resources, ebooks, and databases offered by the Commonwealth of Pennsylvania to residents of Pennsylvania. Library members from across PA have access to this collection of databases. If you can’t find the title you are looking for, Access PA can help. View the holdings of more than 2,600 Pennsylvania libraries and 43 million books, audiobooks, movies, reference materials, and more. When you find what you are looking for, you can request delivery of the item through InterLibrary Loan. Do you need to find access to peer–reviewed journal articles? Do you need more than a magazine article on your research topic? This full-text database provides access to nearly 2000 journals and periodicals, including many peer-reviewed journals. Updated daily. Is your paper due tomorrow? Perhaps you need just one more resource to meet your professor’s requirements. Do you need a definitive answer to a provocative question (you know, the one you just put a bet on)? Get your answers by connecting with a librarian. Here is your opportunity to chat online with a real librarian in real time. You can also see all of the supporting documentation for answers to make it easy to cite references. Provided by the Pennsylvania Department of Education Office of Commonwealth Libraries, Bureau of Library Development. Discover fiction and non-fiction books that match your interests! Books and Authors (powered by Gale’s popular What Do I Read Next? series) is for readers from every level of reading proficiency and enables users to explore the endless possibilities and combinations of books, authors, genres and topics from more than 240,000 titles. Find full-text articles and statistical data about companies and industries for business owners, marketing professionals, investors, and students. Access to over 11,000 journals and more than 8,900 in full-text. Instantly analyze and compare financial and statistical data with interactive charting tools. Find thousands of detailed financial reports, more than 2,500 custom business glossary terms, 1,000 SWOT reports, over 17,400 company histories, over 460,000 detailed company profiles, and much more. Looking for tips to help your family stay healthy? This database supports the information needs of patients, and fosters an overall understanding of health-related topics. Content covers all areas of health and wellness. Health information you can trust. Do you have a favorite contemporary author, poet or cartoonist? Want to know where they were born or who influenced their work? Curious about their full body of work? This e-resource provides access to biographical and bibliographical information on more than 145,000 influential and contemporary authors. It’s also an excellent source for background information when you’re working on a book report or literature review. This e-resource provides access to over 16,000 eBooks across all major subject areas. Perform full-text searches of a single eBook, search thousands of volumes simultaneously, browse topic categories, or read eBooks online. Topics range from young adult fiction to philosophy to true crime, and everything in between. Additionally, you may download selected eBooks to portable devices. Items check out for up to one week. This e-resource provides a central location from which to search the Access PA EBSCO eresources. Search up to sixteen databases at the same time. Learning Express is your one-stop shop for tutorials on a wide variety of academic subjects. Want mathematics help? We have basic math, geometry, algebra and advanced statistics tutorials. Need to prep for a college or military entrance exam? Here is the resource you’ve been looking for. Want to brush up on basic language skills, spelling or vocabulary? Help is here! Additional resources include citizenship test prep, high school equivalency exam tutorials, and vocational study support. Many resources are available in English and Spanish. Learning opportunities are self-directed so you can work at your own pace. Discover literature content from more than 150,000 full-text poems, 840,000 poem citations and excerpts, 7,100 full-textshort stories and novels, 3,800 full-text essays published in the 16th-20th centuries, 2,400 full-text speeches, and 1,250 full-text plays. It also includes biographies, work summaries, photographs, and a glossary. Within LitFinder’s collection, users can access works from over 80,000 authors from 660 nationalities. NewsBank provides a comprehensive collection of reliable news sources covering a wide array of topics and issues. Are you interested in the history and culture of Pennsylvania? PaDigital houses digitized resources from newspapers, colleges, archives, museums, and other institutions, and links them to the Digital Public Library of America (DPLA). Images, transcripts, photographs, and papers are all available for perusal online. 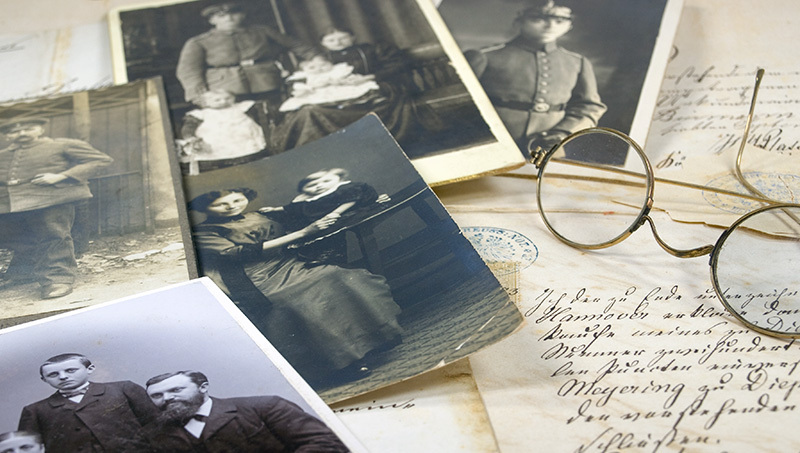 Are you doing genealogical research? Interested in the history of the civil war? Explore digitized copies of original documents and photographs from unique collections in libraries across Pennsylvania. You will be amazed by what you find! Discover job resources for Pennsylvania job seekers and employers. These Pennsylvania government provided resources are designed to help you find a good career, review job openings, and match you with employers. Discover reliable and trusted information on a variety of topics to support middle school student research for government, U.S and world history, geography, literature, sciences, and social issues. Research In Contest offers cross-curricular content aligned to national and state standards, and presents material organized into a highly visual and topic portal approach to quickly find answers. This is a handy research tool that allows you to browse scientific information by subject area, find lesson plans and discover hands-on activities. This research database provides easy access to a multitude of full-text science-oriented content. It contains full text for hundreds of science encyclopedias, reference books, periodicals, and other sources. Join Benjamin Franklin on an adventure to learn about the United States government. Does your child love to read? Maybe they are reluctant readers? The best of whimsical picture books are paired with nonfiction titles on the same theme. Each pair of books comes with additional activities and teaching supports. Created for grades pre-K-3, this resource will be loved by your whole family. Help your child build that love of reading and learning. Let the Power Kids tour guide, Ben, show your child the resources they need for homework, reports, or general knowledge. Researching for your school work? POWER Teens can help you find online resources including full-text research e-resources, collections of photographs and documents, the statewide catalog of materials held in libraries throughout Pennsylvania, and Chat with a Librarian. Do you have a child who groans when asked to read a nonfiction book? Get them engaged. Perhaps you have a child who could not care less about Harry Potter, but loves reading books about science or history. Encourage their interest! Your child can explore true topics through books, videos, games, and activities through the award-winning True Books. Students can hone literacy skills, build a knowledge base of subject-area content, and cultivate contemporary skills through the exploratory research process. Now provided by Power Libraries. The DPLA is a collection of digitized resources from all across America. Features exhibits, documents, videos, and maps that keep history alive and accessible to everyone. Need a quick refresher of computer skills, or just starting to learn computer basics? Free computer tutorials are available on topics from Microsoft Office to Apple, and smartphones to tablets. Other topics available include reading, technology and mathematics. These free tutorials are available to everyone. Work at your own pace, and take fun (optional) quizzes to test your new knowledge! Via Goodwill Community Foundation. What do you want to know? The Khan Academy is on a mission to help you learn what you want, when you want, at your own pace. A variety of subjects is covered, and levels range from kindergarten to AP-level. Via Khan Academy. When you or a family member needs health information, they need that information from a valid source. YCL recommends MedlinePlus from the National Institutes of Health. This website is built for patients and their families. Health information, including drug and supplement data, videos and tutorials, and medical encyclopedias on a wide variety of health-related topics are available 24/7. -Library Services and Technology Act (LSTA) funds from the U.S. Institute of Museum and Library Services.